Sestriere is located at one end of the Susa valley 104KM from the main city of the region, Turin. 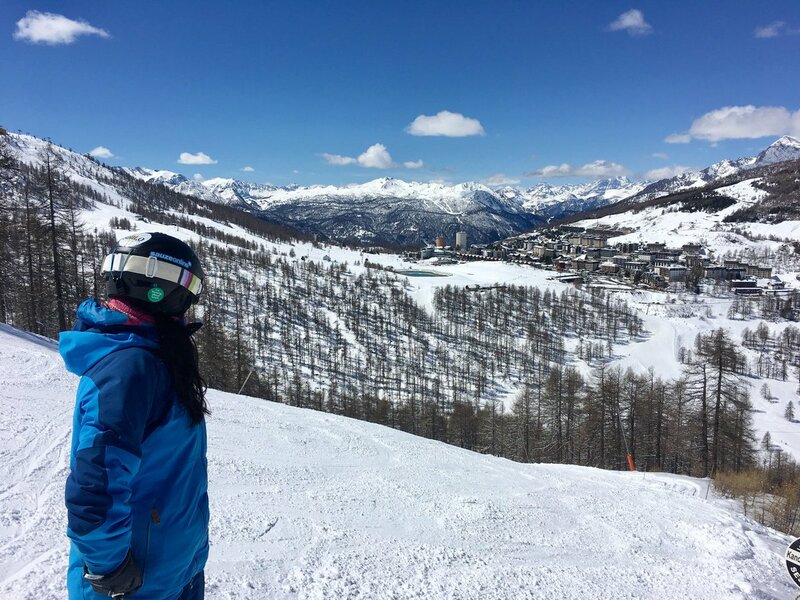 The proximity to Turin and the motorway that runs through the Susa valley north into France makes Sestriere easy to get to regardless of how you choose to travel. There are several airports that you could fly to if you were coming to Sestriere. The nearest airport is Turin – Caselle (TRN) Location: 16km North of Turin, 90km east from Sestriere. The transfer time by car is around 1.5 hours. Airlines that operate a regular service from the UK are British Airways, Easyjet, Ryanair and Blue Air. From the Republic of Ireland Ryanair fly from Dublin every Sunday. We can arrange airport transfers for you which is the easiest and sometimes the most cost effective way of getting to the resort. These can be from any of the major airports in the region. You can get to Sestriere via public transport which is relatively straight forward although with luggage it can be tiresome. There is a regular bus that links Turin airport with the main train station, Porta Nuova. From there you’ll need to catch a train to Oulx. The train journey takes about 1hr 40 minutes. The following link takes you to the airport bus time table. To get to Sestriere by car is relatively painless as its motorway pretty much all the way. From Calais it should take around 10 hours. The journey takes you down through Reims and Dijon then onto Chambery before going through the frejus tunnel. Once through the tunnel you come off the motorway at Oulx and follow the signs for Sestriere. The map below is interactive so you can zoom in and move it around. I have used Calais as the starting point however if you click on the link just below the map you can alter this. Also by clicking on the link you’ll be able to print off the route. View Directions to Sestriere in a larger map. Sestriere is relatively easy to get to via the train. The nearest train station to the resort is Oulx which is about 20 miles from Sestriere. The journey time from Turin to Oulx is around 1.5 hrs and costs about €6.00. Once at Oulx there there is a regular bus service up to Sestriere which take approximately 30 minutes. For more information on Italian trains click here. You can catch a train from Paris Gare de Lyon to Oulx which takes just less the 5 hrs. This is a direct train. To find out more information click here. We cater for every discipline be it alpine skiing, snowboarding or telemark. We have all the information about lift passes you need. @sestriereonline No result could be fetched.